Für die 35-Jährige Veganerin könnte es nicht besser laufen: Für ihre Rolle in „Zero Dark Thirty“ war sie gerade für einen Oscar nominiert, auch in „Tree of Life“ und „The Help“ brillierte sie. Sie sagte neulich, es war lange Zeit schwer für Sie gewesen, Rollen zu bekommen, weil alle Frauen in Drehbüchern entweder dunkelhaarig oder blond sind. In Hollywood wissen die Leute nicht unbedingt, was sie mit rothaarigen Frauen anfangen sollen, meine Sie kürzlich in einem Interview. Aus der Misere befreit hätte Sie Al Pacino: „Er hat mich für seinen Film „Wild Salome“ besetzt. Al Pacinos witziger Ernährungstipp für Jessica am Filmset dazumal ist hier in einem kurzen Interview zu sehen. Vegan kitchen like that red haired Woman! Ihre Mutter, Jerri Chastain arbeitet als Chefköchin in einem veganen Restaurant, an Rezeptideen mangelt es Jessica, neben ihrem Erfolg als Schauspielerin, also auch nicht. 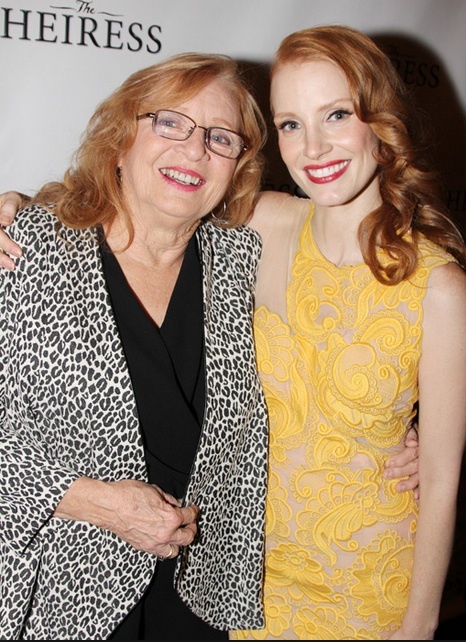 Backstage with Jessica Chastain, best actress/drama, Interview Video hier. 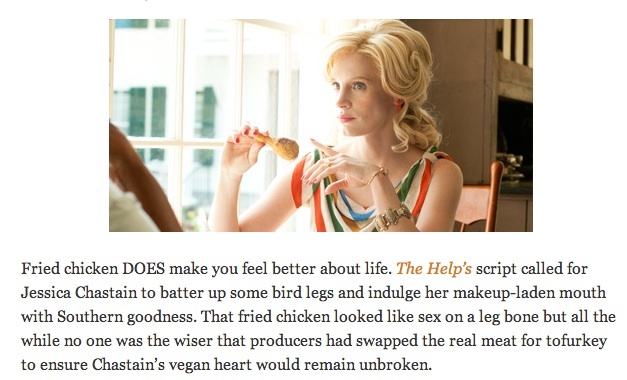 Chastain in „The Help“, Trailer hier. Vegan sushi is is pure and plant based. It is made without any fish, nor dairy or other animal products. Rice and seaweed are staple ingredients in standard sushi and they are vegan: rice is a grain and seaweed is a sea vegetable. By selecting special toppings or fillings made from plants it is possible to create the new superfood, vegan sushi.Fish that has been frozen (as it is always for sushi) doesn’t suit us well as the human body doesn’t recognize the protein anymore. It is hard to digest and causes trouble. A vegan option provides a harmonious nourishment for our bodies and helps us find peace of mind. Vegan sushi is a new definition and experience. 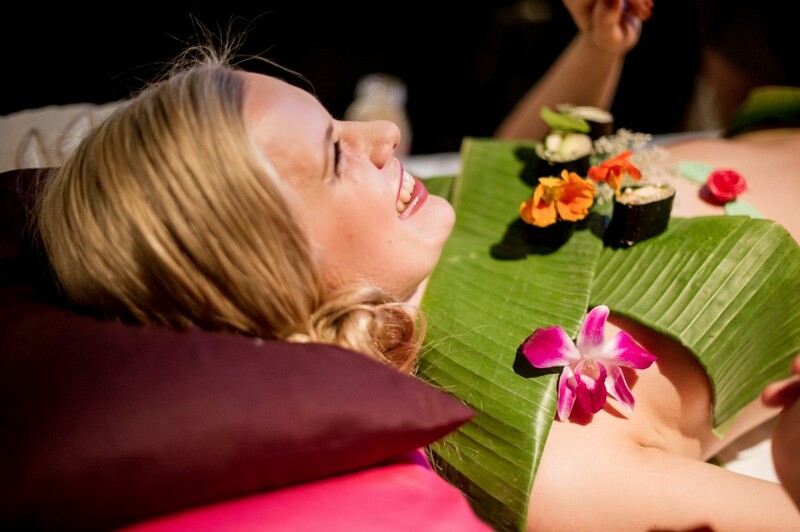 Vegan Nataimori (Body Sushi) is active, not passive. The classic Nataimori is standardly thought of as a sensual experience, objectifying women.t Women lie motionless for hours adorned with sushi for people to eat. The practice even goes so far as to force the temperature of the woman`s body down in order to keep the fish cold. Nataimori is a development coming out of the desire for the new of the wealthy businessmen or businesswomen who suddenly found themselves with an abundance of money and being fed up wih the normal. Nataimori satiates this craving for a decadent dining experience. During the ritual, the woman lies still being transformed into a chilled table which is reminiscent of a corpse. In this situation she is offering and serving sushi in the most passive way possible. Vegan Nataimori is the opposite to this and empowering the woman to create an interactive and nourishing experience. It is a meaningful gesture. By choosing Tamara, a strong and natural woman with natural beauty and self-confidence, vegan kitchen is making it possible to turn the old idea of Nataimori into a pro-active, beautiful, life-providing ceremony. 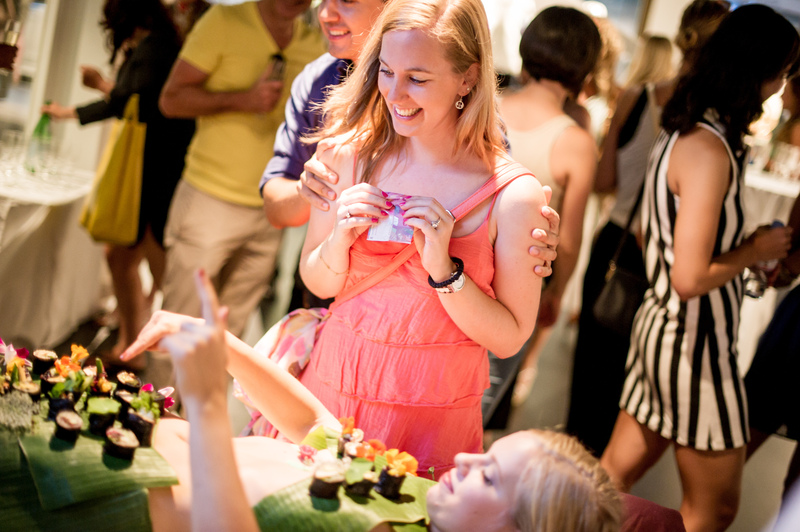 Our woman is giving, speaking, sharing and caring in a moving role to provide vegan sushi to her guests.